Tick tock, Father's Day is fast approaching. It's not too late to get dad a special gift. 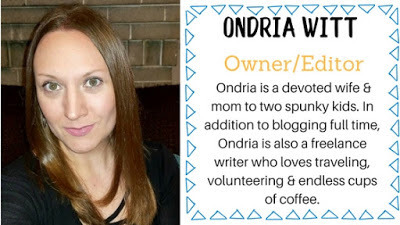 When I shop for gifts for my husband or father, I love to look for unique gifts that might catch them a bit off guard. They're so used to receiving the same old things- gift cards, books, music, and while those gifts are thoughtful, to me they can seem rather impersonal. This year, my goal is to give them gifts they'll really be surprised by. I've done a little shopping around, and have found some really cool gift ideas over at Groovy Groomsman Gifts. I know- both my dad and husband are married so it may seem a bit curious that I'm looking for groomsman gifts. They have such an amazing selection of handsome gifts that go far beyond groomsman gifts, and so many personalized gifts for guys, which are perfect for Father's Day! 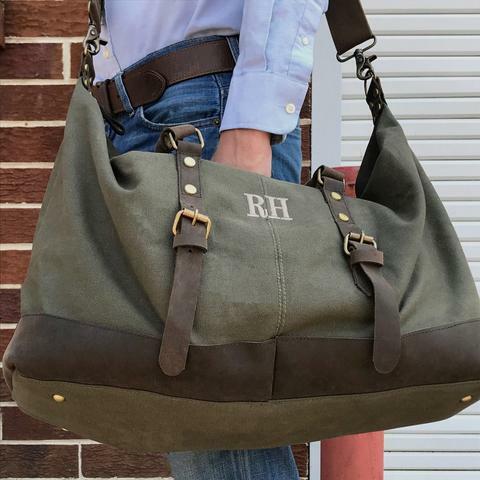 Whether dad is an adventure traveler, travels for leisure or for business, this handsome weekender bag is a wonderful gift! It's extra sturdy, roomy, and is perfect for those overnight business trips or short weekend getaways. Personalize the bag with up to 12 letters to make it stand out. No guy likes watered down whiskey or scotch! Help him keep his favorite beverage cool without the added water from ice. 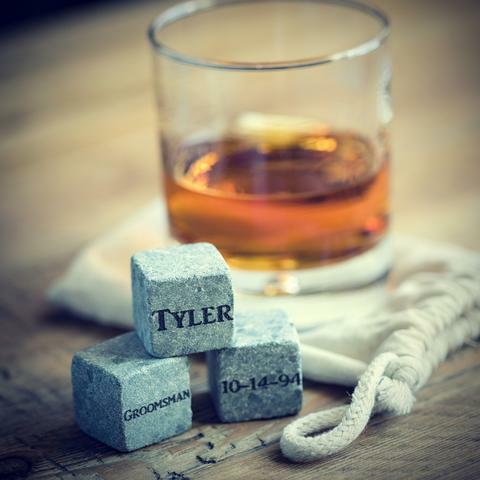 These personalized whiskey stones will keep drinks cool & concentrated. They're a classy, yet budget-friendly gift, and can be personalized with a name, initials, special date, etc. 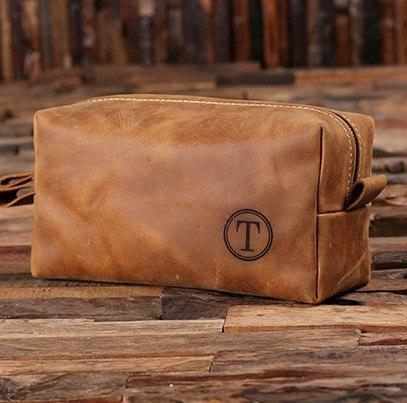 This classy leather outer and waterproof nylon-lined dopp kit is such a practical gift. This gift is so handy for travel, to toss into a gym bag or backpack, or just to use to hold essentials for those last minute spruce-ups in the car. Every guy needs a nice little bag like this. This bag can be personalized with up to 3 letters, and you also have the option to add a stunning wooden gift box for an additional fee. 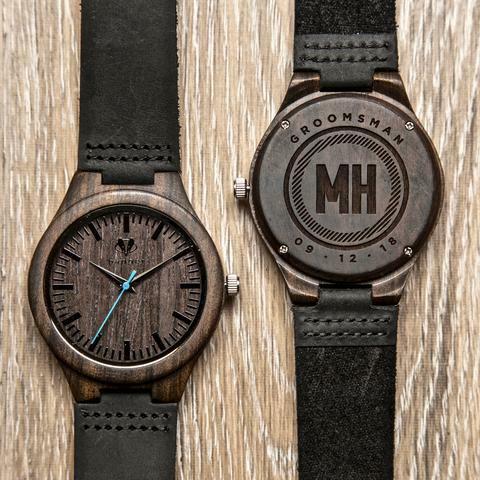 Wooden watches are a hot gift item for both men and women. They feature a modern, yet rustic design with a comfortable band and fit. Not a lot of people have wooden watches- it's not your typical watch, so that alone makes this a unique gift choice for dad. My husband actually collects watches, and he loves wooden watches. 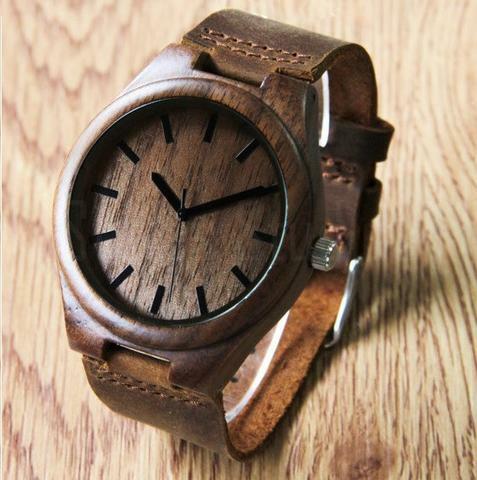 This particular wooden watch features real wood and a genuine leather strap, which can be engraved on the back. Every dad needs a good-looking, well-functioning cooler. Coolers are truly versatile and are perfect to use on all sorts of outings from backyard BBQ's and family picnics to beach or lake days or even trips to a local amusement park. 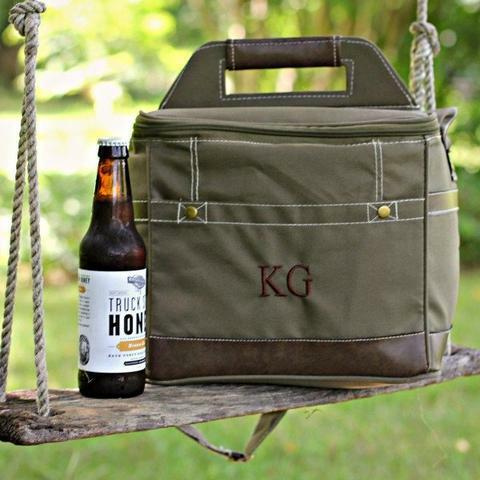 Even if dad takes lunch to work every day, this cool cooler sure beats a 'cute' lunch box! The Combat Cooler is made of 600-Denier polyester with a PEVA (PVC free) lining, meaning this cooler can keep your drinks cold and your food warm. This cooler can hold up to 12 bottles, or 18 cans. It features both a top padded carry handle, as well as an adjustable shoulder strap, with a front pocket for storage. It can also be personalized for that added special touch. Of course, there are tons of amazing gifts over at Groovy Groomsman Gifts which are perfect for Father's Day. I've given you some great ideas here, but you'll have to head over to their site to see even more great gift options. Connect with Groovy Groomsman Gifts on Facebook, Twitter & Pinterest. Which gifts would you love to surprise the dad in your life with this Father's Day?